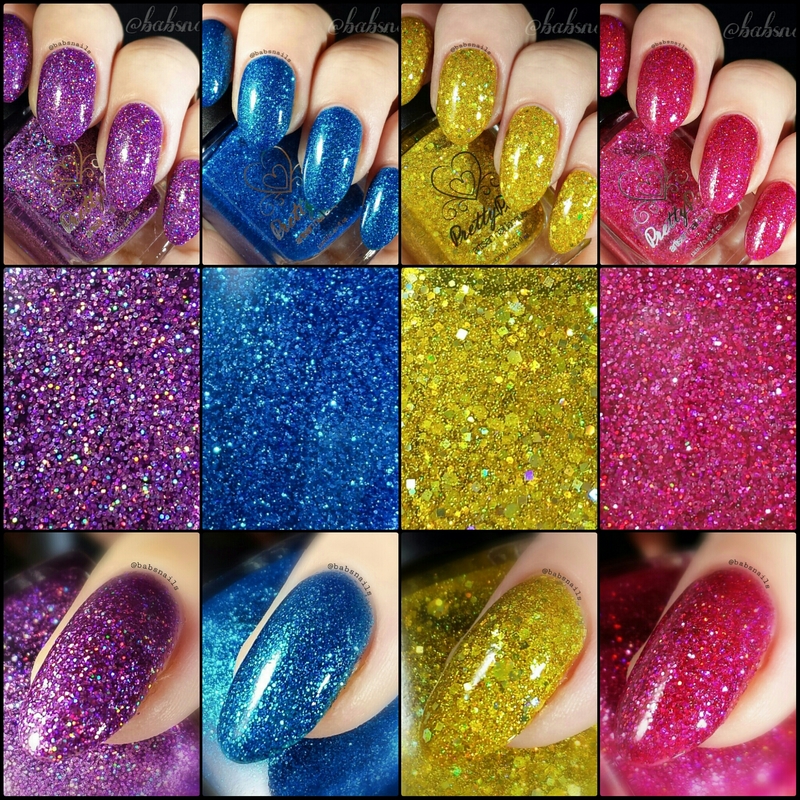 This collection consists of four dazzling glitter bombs. 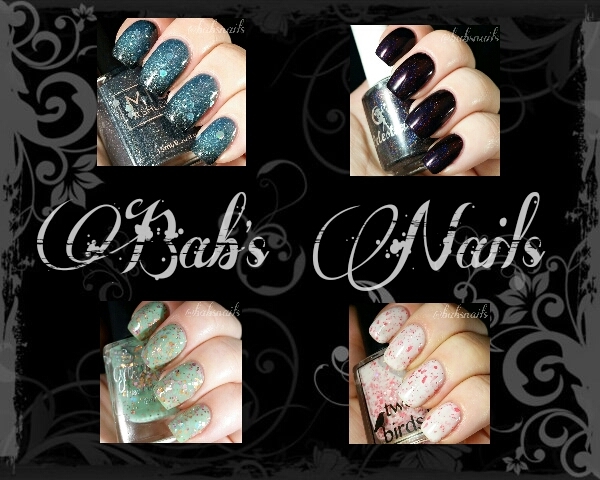 The formula in each of these polishes is spectacular. They all have a coloured jelly base packed full of shiny and holographic glitters. All polishes were opaque with no more than three coats and some only needing two. Application was a breeze with the glitter spreading evenly over the whole nail. Considering the amount of glitter that is packed into these polishes I would have expected a little difficulty with application but to my surprise they applied rather smoothly!